Back in stock! Gloster Gladiator Mk.II & Bristol Beaufighter Mk.IC/Mk.VIF 'North Africa' (double kit) The North African Campaign of WWII took place from June 1940 to May 1943. It included campaigns fought in the Libyan and Egyptian deserts, in Morocco, Algeria and Tunisia. Both the Gladiator and Beaufighter aeroplanes were engaged in aerial battles over these territories. The Bristol Beaufighter was a British heavy fighter, whose first prototype flew in July 1939. It was a two-seat, twin engine, all-metal mid-wing cantilever monoplane, fitted with a retractable undercarriage. It was powered by two Hercules radial engines and the armament consisted of four cannons in the nose, four guns in the starboard wing and another two guns in the port wing. The Mk.IC became an efficient night-fighter used by the Coastal Command and employing the then novel AI radar. The Beaufighter Mk.VIF, introduced in 1942 to Fighter Command, was fitted with more powerful engines and its wing mounted guns could be replaced by additional fuel tanks to extend the aircraft’s range. The Gloster Gladiator was a British-built biplane fighter and its prototype took off in September 1934. The first production model was the Mk.I, while an improved Mk.II version appeared in 1938. 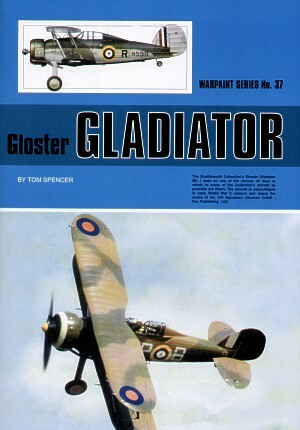 The Gladiator Mk.II was a single-seat biplane of metal construction with mixed metal and fabric covering. It was fitted with a fixed undercarriage and powered by a Mercury radial engine turning three-blade metal propeller. Its armament consisted of four guns, of which two were mounted in the fuselage and two under the lower wings. Although rendered obsolete by newer monoplane designs, it proved good in initial combats and saw action in almost all theatres of war. Two injection-moulded kits (the Gladiator and Beaufighter) are supplied in this box, containing 38 and 51 parts, respectively. Clear parts (cockpit canopies, position lights etc.) are also included (1 and 5, respectively). 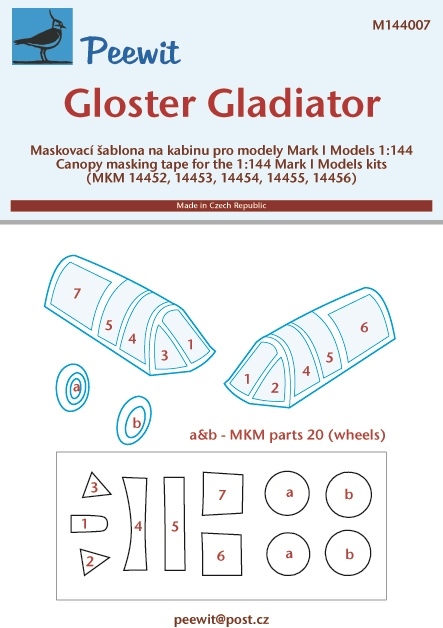 A comprehensive decal sheet is included.